So Google I/O kicked off, and as expected, Google Assistant was the star of the show. Many of the exciting developments coming to Assistant lean into making our interactions with Assistant more 'human'. One of the weirder ones is that Google would appreciate if you mind your manners while speaking to it, thank you very much. 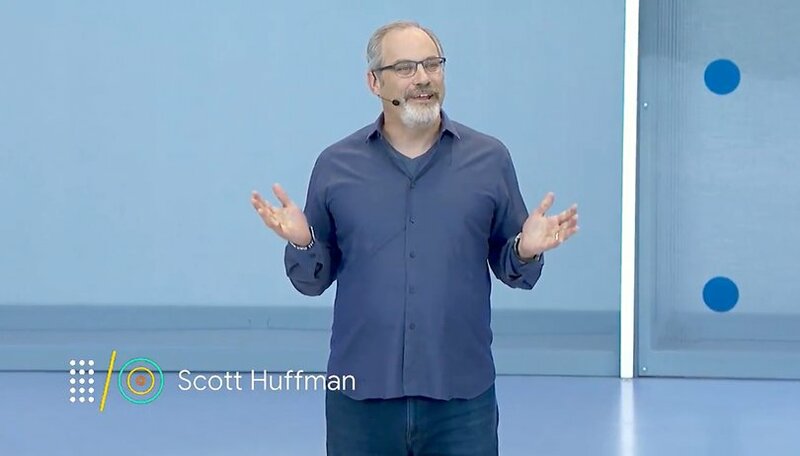 At the event, Google's Scott Huffman, VP of engineering for Google Assistant, stressed that children would be using Assistant to ask questions, play games, and listen to stories — (families have played over 130,000 hours of stories to their kids via Assistant in the last two months alone). Apparently, this led to concerns among the Google team that their kids would learn bad manners from bossing Assistant around all day, and so Pretty Please was born. It's an optional feature, so the less refined among us can rest easy. Assistant isn't able to reprimand us for not being polite, either. Nonetheless, behind all the good behavior, there's something that rubs me the wrong way about being deferential towards Assistant. As useful as Google Assistant is, treating it like it has feelings that could be hurt, or hearing that it feels grateful when I know it doesn't, gives me that uncanny valley feeling. Google wants our interactions with Assistant to be more natural, to feel more 'human'. To a degree, this also entails accepting some kind of status of 'personhood' for Google's representative in our social interactions. Politeness, deference, manners, being considerate and so on. The dark side, to this, is that Assistant isn't a person. It's a machine, a really helpful machine that we pay for largely by surrendering our our most intimate secrets to it in exchange for all the convenience it offers. While your feelings may vary on how one-sided this relationship is, it's a transaction between us and a massively powerful tech company. Are we supposed to say pretty please for this? Assistant acquiring the trappings of personhood, speaking to us in the seductive voice of John Legend or whatever your favorite celebrity will be, leaves us in some sense vulnerable to emotional manipulation by an algorithm that knows us very well, but has no emotions of its own. We can't act as if Google helps us without asking for anything in return. I've spoken to startups working on voice replication, and it's known in the industry that debt collectors, call centers, and other businesses desire the ability to replicate only the most persuasive voices for use with bots, because when something sounds warm, human, and charismatic, our instincts allow us to be more easily swayed. As we approaching interacting with Assistant as if it were a person, we risk losing sight of the machine behind the mask. When you think of the children, it's already a little disturbing that by repeating 'Google', over and over again at Assistant (even if now, you only need to do this when starting a conversation), they're being indoctrinated to love and trust a brand while their minds are vulnerable. On top of that, the need to show politeness and deference seems a step too far. Perhaps if an Assistant speaks with a human voice, it also needs to be treated as a human being. Especially by kids, who might not get the intricacies of what's the difference between talking to a human and talking to an AI. The manners they learn to use with Assistant could carry over into the wider world of human interaction. But for parents, before you jump at the chance to give Assistant the role of socializing your children, you might consider that it's worth teaching them this difference from an early age, to keep in mind for the connected future they will grow up in. What do you think? Is it only good manners to treat voice assistants like people? Or should we keep a clear distinction? Clearly none of these people are preparing for the robot apocalypse. The Internet never forgets, especially when it becomes self aware. I for one welcome our new robot overlords, pretty please and thank you very much. It’s your kids, and your choice to use this “block”. Let no one tell you what’s right for your kids, they don’t have to rear them up, you do. Don’t let the “peanut gallery “ make decisions for you. When I hear Siri, I think of a stern mistress in black leather, carrying a whip. Turn on for some, but not me. What I think users should do is watch reruns of the old UK series "Upstairs, Downstairs" in which the enviable, upstairs posh carry on every which way among themselves in their stately homes, but when the butler or a maid enters the room the posh masters fall silent, interact respectfully with the servant, and the servant leaves. DIgital assistants should be kept downstairs, except when wanted, and family / social life should not return to "normal" until the servants are out of sight and sound. Why would anyone want to teach their children to be deferential to an AI, or worse, a big brother-like tech company? Just teach your kids manners the old-fashioned way. Yep, I'm almost 60...I still say sir, ma'am, open doors, please, thank you. It's not hard to TEACH your children good manners, but some parents want to be the "friend" to their child, instead of the PARENT.